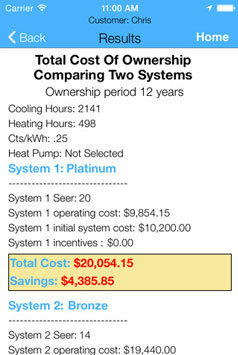 The idea behind developing this app was to provide a mobile-friendly platform wherein dealers can help themselves pick the right AC units based on the total expense of their ownership. Besides, customers can as well make comparisons between two AC systems just to ensure that all the information such cost of the product and installation expense fit their budget. Ultimately, both the parties can make an immediate and informed decision. When the client approached us with the requirement, the first thing we were asked of was 'would we be able to integrate an accurate answering calculator in-app?' Our answer was, as usual, 'yes, of course.' The reason why we were confident enough was that we had already developed numbers of in-app calculators. Post comparison, there will be need of quick calculation and as planned, users must have been given only the accurate results. 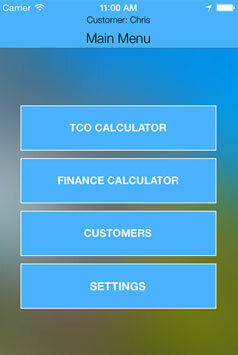 Daikin TCO was asked to be a mobile app wherein dealers as well as customers can calculate their ownership and installation expense including the product cost. 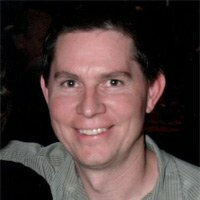 The concept behind developing this app was to bring a unique platform to the dealers of heating and cooling systems and their target audience. We made the client exactly what was expected - Daikin TCO features a calculator that fetches the accurate calculation result about the total costing or expense for the both dealers and end customers. Front-end Our team of enterprise app developers for iOS and Android created a highly intuitive application for mobilizing the efforts of the client's sales team. Here are some of the top highlights of the application's front-end. Backend The team even deployed its resources to build a robust backend. With a powerful backend in place, the app was ready to scale at demand. Here are the benefits of deploying a robust backend for the client's app development project.